Tivat Airport is located in the south of Montenegro in the Bay of Kotor, 3 km south of Tivat, 8 km from Kotor and 20 km from Budva. The airline of Montenegro Airlines is housed at this Airport. 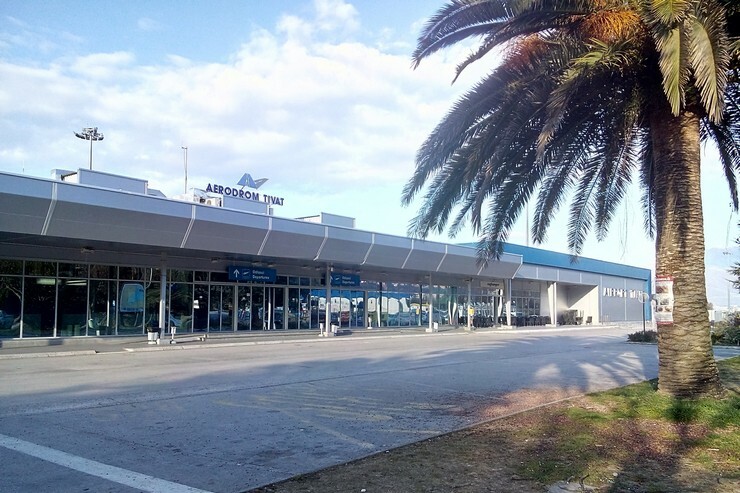 Tivat Airport is one of the two public airports in Montenegro, the other is Podgorica airport. Travelers as they land in Tivat have a view of the bay, surrounding mountains and low flying over the port of Porto Montenegro. The airport in Tivat was opened on May 30, 1957, as a small airport with a single race pistol, a small apron and a terminal building with a control tower. On April 23, 2003, Tivat Airport moved from JAT to JP Airport of Motenegro, and since then begins its accelerated modernization, with the first phase rounding up the reconstruction of the 4057 m2 expanded harbor building, after which followed by completion and equipment for using the airport in night conditions. BusTicket offers transfers from Tivat Airport to cities in Montenegro and out. Send a request for the transfer to our e-mail address: support@busticket4.me and we will help with the organization.